No doubt you’ve probably heard plenty of people talk about tankless water heaters. It is a piece of equipment that has skyrocketed in popularity for homeowners for a variety of different reasons. A lot of water heater traditionalists aren’t sold on the superiority of tankless water heaters. But, the truth is clear as day: tankless water heaters rock! Want some proof? Here are 4 reasons you should invest in a tankless water heater. If you were curious what the main difference a tank and tankless system is, here is a breakdown. A tank heater fills up with water that it heats for showers, washing clothes, washing dishes or anything else you need. The water sits in the tank until it is used up, but it needs to stay warm to be used at a moment’s notice, which means your heater is constantly running and puts a drain on your energy bills. A tankless water heater only heats water as it is being used. Need a shower? It heats up just enough water. Washing dishes? Just enough water. Get the picture? Only running when it needs to add up to big savings on your monthly electric bills, many as much as 30%! So that tank we just told you about, what do you imagine happens once it runs dry? There is a period where the tank must take in more water and heat it up leaving you with nothing but cold water. I’m sure we all have experienced being one of the last ones to shower in the morning and being left with no hot water. No fun at all. But, that isn’t an issue with a tankless water heater. The tank never runs dry because, well, there is no tank. You are given a steady supply of warm water no matter if you are the first to shower or the fifth to shower. The constant running and heating from a traditional water heater don’t only take a toll on your energy bill, they also take a toll on the system itself. All that work makes for more wear, tear and breakdown. This equals more repairs and ultimately a shorter lifespan. Tankless water heaters are just the opposite. They run less often so they have a longer lifespan. A tank water heater typically has a 10-15-year lifespan while a tankless water heater can last you as long as 20 years. In that time, you are saving on energy bills and repair expenses. Remodeling the basement of building a brand-new home? Saving space is an important consideration when you are setting your plans. In cases like these, a tankless water heater is an absolute no-brainer. Far less bulky than their tanked counterpart, a tankless water heater takes up much less space and will leave you more room for the rest of the more important stuff in your home. Are you convinced that a tankless water heater is the way to go? If your current system is old, constantly breaking down on you or you are fed up with cold showers and high energy bills, give your friends at Chapman Heating | Air Conditioning | Plumbing a call! 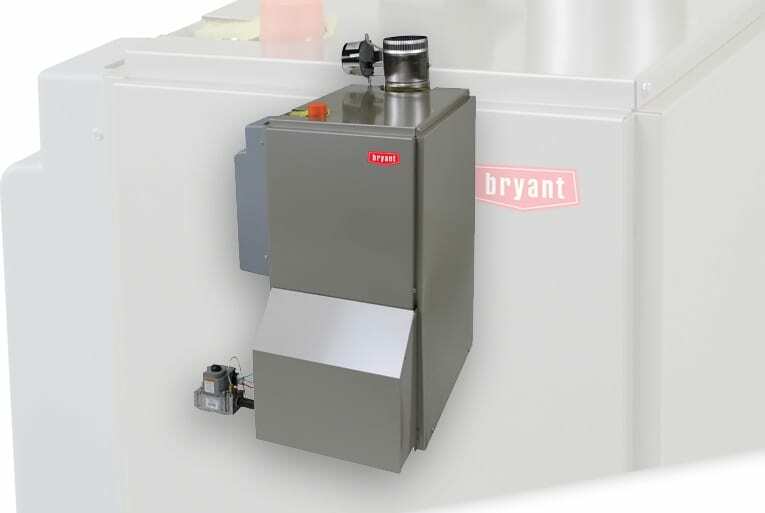 We carry and install and service all of top of the line tankless water heaters. We are proud to serve all of Central Indiana’s plumbing, heating, and cooling needs.